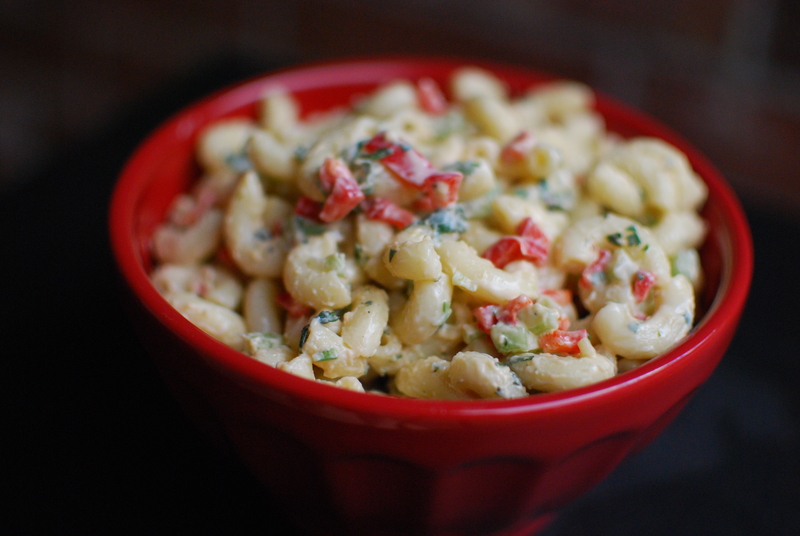 I pretty much love all pasta salads, and this one is so very good. It definitely tastes like it came from the deli. It’s great for summer as a side for sandwiches or grilling out. Recipe from Center Cut Cook. Cook pasta according to package directions; then drain and rinse under cold water until the pasta has cooled. Drain well. Meanwhile, in a large bowl combine mayo, sour cream, cider vinegar, yellow mustard, sugar, salt, and black pepper. Combine the macaroni with the dressing; then stir in finely chopped celery, diced red bell pepper and finely chopped parsley or cilantro.